What’s going on at Apple? 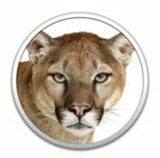 Mountain Lion, aka OS X version 10.8, is just $19.99… and that one price covers upgrades for every eligible Apple computer that a family owns. The previous version of the Apple OS, Lion, launched during the summer of 2011 and was priced at $29.99. Falling prices at Apple? Some Mac owners may get an even better deal. The highly reviewed operating system is available as a free upgrade for shoppers who purchased a new (qualifying) Mac computer between June 11, 2012, and July 25, 2012, from an authorized Apple retailer. The free upgrade is also available to shoppers who purchased a (qualifying) Apple certified refurbished computer from Apple’s online store between those same dates, according to Apple. What computers qualify for the free upgrade? Apple has posted a list here. A list of refurbished computers that qualify is here. Apple released Mountain Lion earlier today. The new operating system can be installed on most Macs that are currently running either OS X Lion or Snow Leopard. Apple touts Mountain Lion as “the world’s most advanced desktop operating system” and says it adds more than 200 features to existing Macs. The new OS makes extensive use of Apple’s iCloud service. At publication time, there are 2912 (and growing fast) customer ratings for Mountain Lion in the iTunes store. It’s currently rated 4.5 stars. That’s down slightly from the 5 star rating it had just moments ago, with 2555 ratings counted. We expect the number of ratings grow appreciably throughout the evening and over the next few days. Have you downloaded it yet? Does it live up to the hype? Leave your comments below.